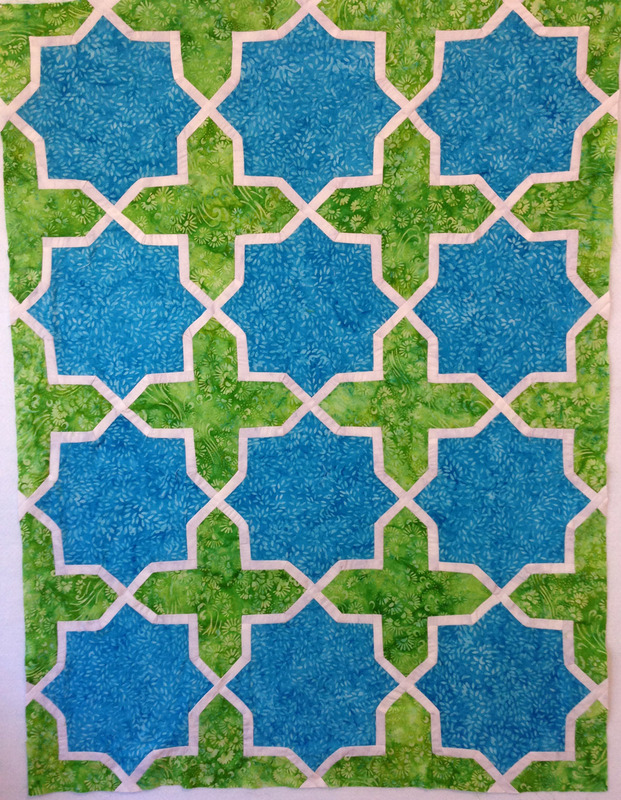 I have been postponing this post, trying to get the top to “Arabesque #4” finished and now I finally have. From this photo, you can’t see all of the pleats that are on the inside corners of the green crosses; I finally got them right on the last set of seams. I guess I just needed a lot of practice! Oh well, that’s experience that can go into #5.